I just want to taste this! SOOOOOOOOO cute! I always love when people use images that run off the paper. It creates such an awesome design element. 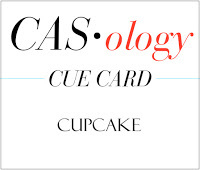 Love your cupcake card!! So much fun! Love that you stamped only a portion of the cupcake in the corner, cute design Tracey!! So sweet...love your touch of coloring! Love your offset cupcake, and your die cut sentiment is so cute! May I ask where you found it? Soooooooooo cute! LOVING that cupcake!!!!!!! what yummy colors on your GIANT yummy cupcake!! love the pink die cut sentiment! Great card! I love the cupcake composition. I'm so sorry to hear that you're moving away from your favorite treats, though. There was a donut shop in Indiana that I loved. We haven't lived there for almost twenty years and I still miss that place. LOL! Anyway...Thank you for sharing your sweet card with us this week for the Simon Says Stamp Monday Challenge. Yum! What a sweet card! Love your fun jumbo cupcake! It's so adorable and I love the touches of pink! This is just darling!! What a cute big cupcake!! Love it to pieces!! This is so sweet, a very clever design. 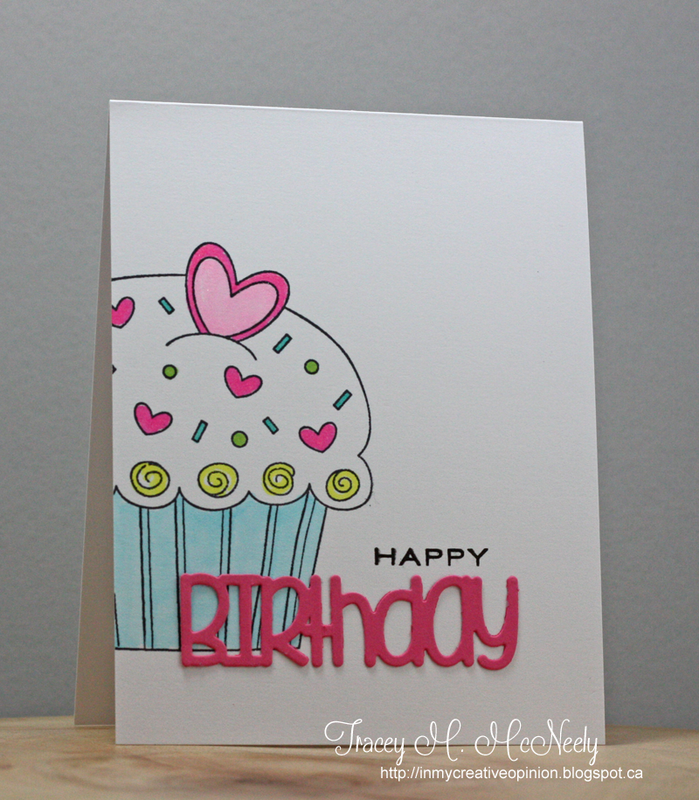 Love that large offset cupcake and the bright pink birthday die, Tracey. Hey Tracey!! I love your oversized cupcake!! The colors are amazing and the birthday die cut is perfect. Nicely done. Love your large sweet cupcake! Love the sprinkles and I would like some right now,please! 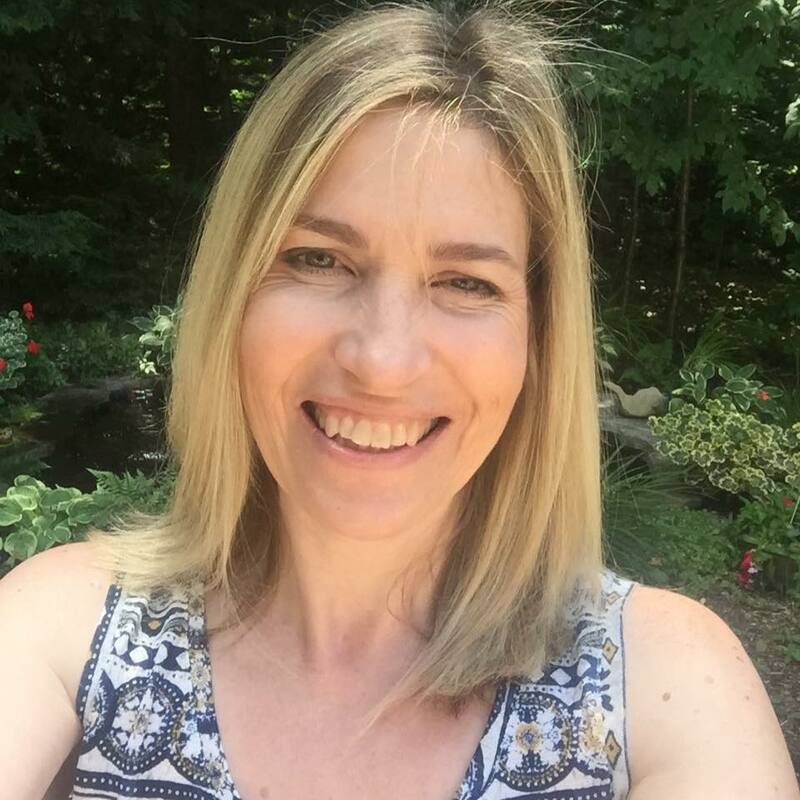 Tracey....this is as sweet as can be. I love your giant cupcake, it looks so good with all your colorful sprinkles! Love it Tracey, I ADORE cupcakes too! Yummy, chocolate and Red velvet, oh and german chocolate are my fave! Wonderful card - bright & cheery! Have a cupcake for me... Wishes of stamina & peace as you continue to pack. These cupcake posts are making me hungry! Love this delicious-looking gigantic one stamped off the page! Yum! Excellent Tracey. Love the card a lot. Hope your move is/has gone well. 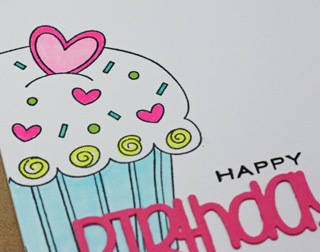 Love that big cupcake and love that you stamped it off the side of the card! Your big ol' cupcake has planted a smile on my face and sparked a 'want' on my tastebuds! Sheer delight...and that birthday die cut is simply marvelous!